TOKYO (Reuters) -- Nissan Motor Corp. and Renault will combine their manufacturing and research functions in a move that will save the alliance more than 400 billion yen ($3.86 billion) a year, the Nikkei business daily reported today. The initiative would mark one of the most drastic steps yet in pooling together the long-time partners' resources - something they initially struggled to achieve. As a first step, the alliance, led by CEO Carlos Ghosn, will appoint a manager to oversee the production departments of both companies from as early as April, following up with a similar structure for research and development, the paper said. Under the planned structure, Nissan and Renault will be able to assemble cars, using shared parts, at the same factories, the Nikkei said. Nissan and Renault will adopt the new structure first at their jointly held factory in India as early as 2015, expanding to more than 10 countries by 2020, the report said. The alliance, which together owns nearly 50 factories worldwide, plans to bring Russian affiliate AvtoVAZ into the fold, the paper added. Nissan declined comment on speculation concerning the alliance's future plans and projects. 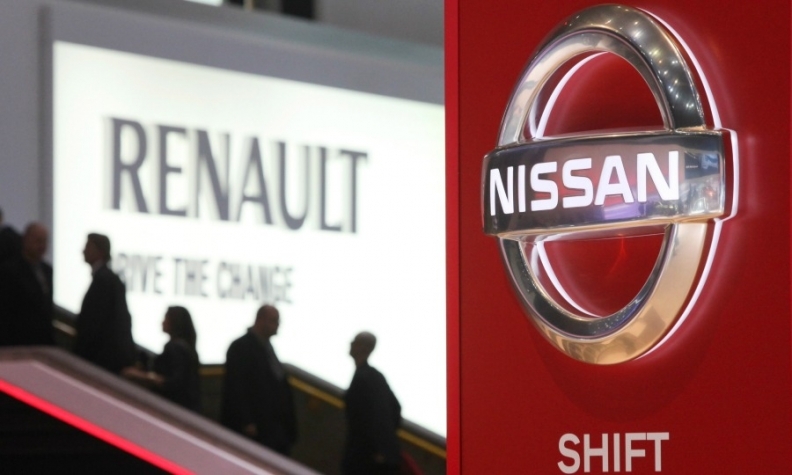 The Renault-Nissan partnership, formed in 1999, has said it generated 2.69 billion euros ($3.68 billion) of new cost savings in 2012, up from 1.75 billion euros in 2011. Facing flagging sales in China, Europe and elsewhere, Nissan in November warned of weaker profits and announced a management makeover, promoting Chief Competitive Officer Hiroto Saikawa as the de facto No. 2 to oversee areas including r&d, purchasing, manufacturing and the supply chain.